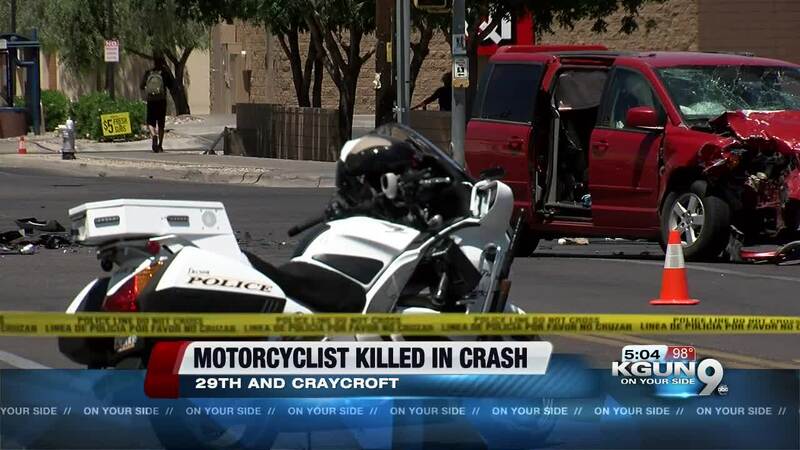 Tucson Police have now identified the Motorcycle rider who was killed in a crash at 29th and Craycroft Wednesday. 25-year-old David Kennett hit the front passenger side of a Dodge Caravan that was turning. Police said Kennett was thrown from the motorcycle. He was wearing a helmet at the time of the crash. Witnesses said the Dodge was turning on a green light and they heard the motorcycle accelerating just before the crash. The driver stayed on scene and cooperated with police. TPD said speed and impairment were not factors in this crash. Four people have died in motorcycle crashes in 2018.